A Good Winter for Snowy Owls? You would not believe what turned up Saturday night in the Mall parking lot in Kingston, N.Y., only a half hour from my house. 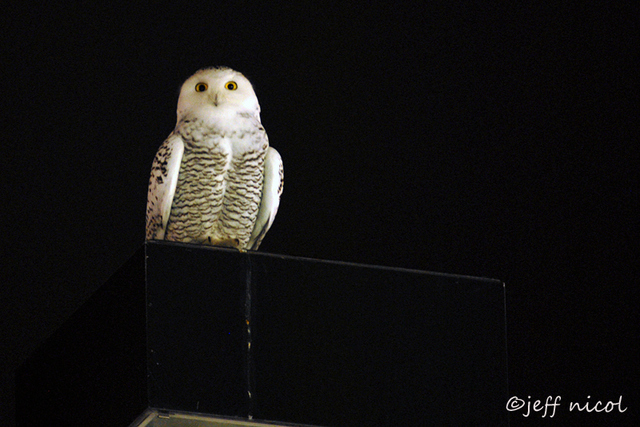 A Snowy Owl sat on top of an unlit light pole for 2 hours! I raced up there and got to see it, along with several other birders, for over a half hour before it decided to move on.